What is a Vermont Quit Claim Deed? 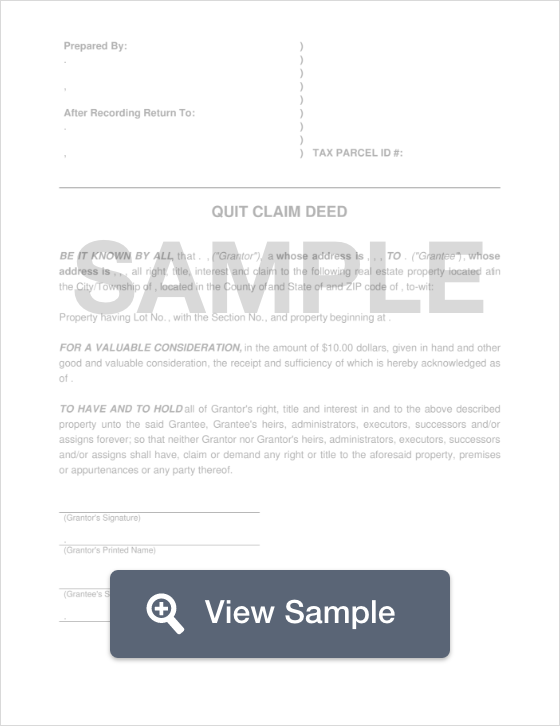 Vermont Quit Claim Deed: What Is It? In the state of Vermont, a quit claim deed is a document that allows the seller of a property to use to transfer ownership interest to a buyer in an expeditious fashion. Different from a warranty deed that comes with a guarantee that the title of a property is clear, a quit claim deed provides none of this, only ensuring that a grantor doesn’t claim interest on the property at a later date. Quit claim deeds are generally used between family members, however, regardless of the situation or relationship, a title search should be conducted to ensure that the title on the property is clear. Before a quit claim deed can be filed with the County Clerk’s Office, Form PT-172 must be filled out and filed with the Department of Taxes in order to prove that the property tax has been paid. Signing - Vermont Law dictates that the grantor must have the quit claim deed notarized (27 V.S.A § 301). Recorded - Once properly filled out and notarized, the quit claim deed is to be filed at the local County Clerk’s office.